Wargaming Forum and Wargamer Forums > Fiction, Art and Roleplay Game Discussion > Black Library Fiction > Sons of the Hydra by Rob Sanders - out early! 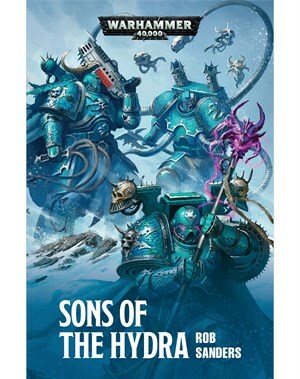 Sons of the Hydra by Rob Sanders - out early! Been eagerly waiting for this one, grabbed it asap when I saw it. Finished it. Definitely takes some unexpected turns and twists. Definitely did not see -that- comming! A worthy Alpha Legion novel. And not one 'I am Alpharius'. I felt the first half of the book started off very strong and there were plenty of interesting stuff going on, but after that it fell apart for me. Especially the way they escaped from that one encounter bothered me so bad and the ending felt super rushed. Definitely worth reading, but I myself do not regard it as being anything above average. But I am interested to see what they intend to do with the ending. I finished it last week, and it was a struggle to get through. As @Doelago said, there's a particular encounter with the Inquisition that that was just plain dumb, and the final set piece just didn't sit right, with the tricksy AL being out-tricked by someone trickier. The fact that not one member of the featured AL war band, The Redacted, is actually an original AL marine, was a rather stupid plot device, IMO.